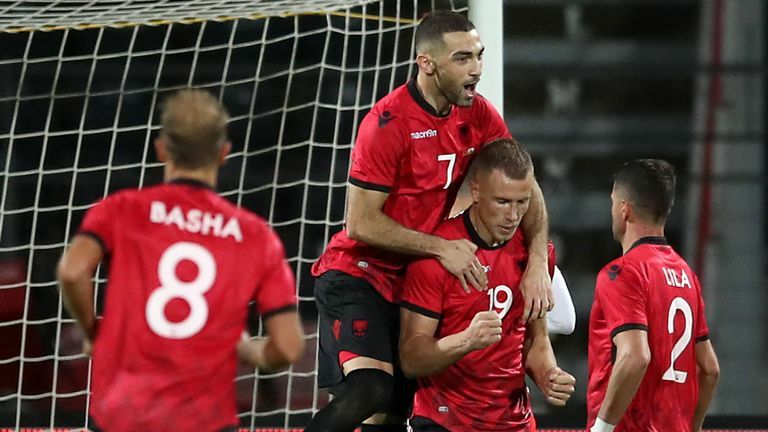 Bekim Balaj's controversial second-half penalty gave Albania a 1-0 friendly win over Wales on Tuesday night. 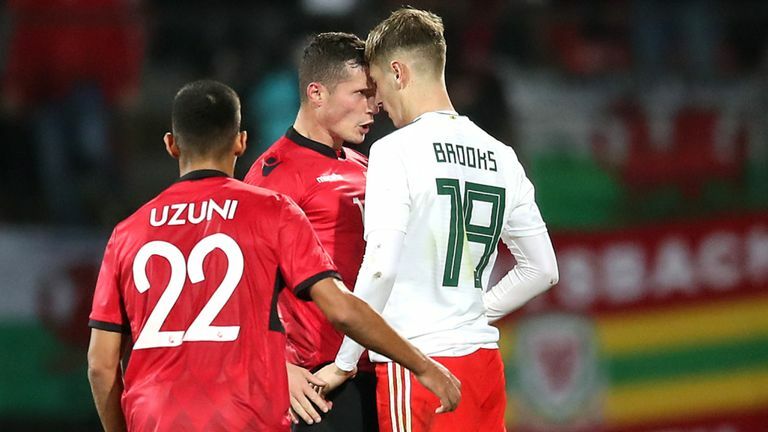 On a night which saw Chris Gunter become the most-capped Wales player in history, Albania netted against the run of play after Taulant Xhaka, Arsenal midfielder Granit's older brother, went down under the soft challenge of Harry Wilson. Sam Vokes had earlier missed a sitter for Wales from close range, and the defeat means Ryan Giggs' side end 2018 with five defeats, one draw and three wins. 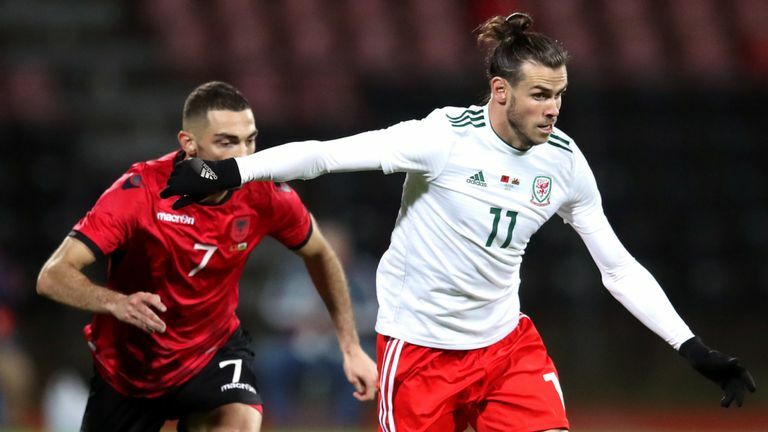 Gunter overtook Neville Southall in picking up his 93rd cap for the friendly, while both Gareth Bale and Aaron Ramsey were on the bench for Wales, coming on in the second half. Wales started well and went close through headers from both Vokes and David Brooks, who both glanced just wide of the post. Vokes' turn and shot was well beaten away by Albania goalkeeper Etrit Berisha just before the break, and after the restart the Burnley striker missed a sitter, somehow poking at Berisha from two yards out after Tom Lockyer had glanced on a free-kick. Xhaka then went down easily in the box at the other end as Wilson leaned into him, allowing Balaj to step up and slot down the middle of the goal. Wales introduced Bale and had a penalty appeal of their own turned down as Migjen Basha flew in on Wilson, getting the faintest touch on the ball, before Mytro Uzuni curled just wide of the Wales goal. Wales failed to create any more clear-cut chances, as they finished the year with back-to-back defeats. Wales have lost four of their last five matches (W1), after losing just four of their previous 20. Albania recorded their first ever win against Wales, having lost one and drawn one of their two previous meetings. Wales have won just one of their last 12 friendly matches (D3 L8), beating China 6-0 in March. After winning his first game in charge of Wales vs China, Ryan Giggs has since lost five of his last eight (W2 D1 L5). Albania scored with their first shot on target of the match.